Service solutions to your waste disposal & clean-up needs. 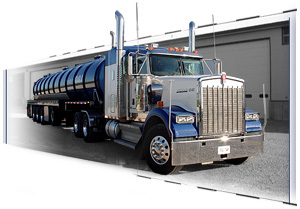 OGI is a family-owned and operated waste disposal and transportation company that specializes in commercial, industrial, municipal and agricultural waste materials. OGI is a fully insured, licensed and certified company that has been in business since 1991. Our goal is to understand the needs of our customers and to tailor our services to provide viable and compliant options. OGI is equipped to handle, haul and dispose of waste material in a professional and environmentally conscious manner. We have cultivated reciprocal respect with landfills, disposal and storage facilities across Ontario that allows us to better service our customers. OGI has built a solid reputation by providing prompt, reliable, personal and courteous service complimented by competitive prices. We would be pleased to provide your operation with a seamless solution to your waste management needs.